Keyan Tomaselli is an urban geographer turned media and film producer, scholar, and in latter years his interests have taken him into critical indigenous qualitative (and some quantitative) research methodology. 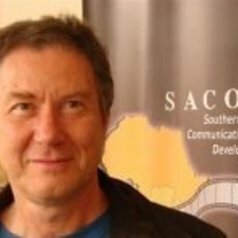 He is author of Encountering Modernity: 20th Century South African Cinemas, The Cinema of Apartheid, Researching the San/d, and Cultural Tourism: Rethinking Indigeneity. He is editor of Critical Arts: South-North Cultural and Media Studies and co-editor of Journal of African Cinemas.